I was in university when one day, a Forex broker came to my school and organized a trading competition. Well, I blew up my account in 2 days. And that’s the official start to my trading journey. Now despite the setback, trading opened a new world of possibilities for me. You can make an unlimited amount of money because there’s no “ceiling” to stop you. Your trading skill is yours to keep forever (no one can take it away from you). You’ll never be replaced by someone “better and cheaper” than you. You’ve got no office politics to get involved with. You don’t have a boss (or anyone) to answer to. When I had this revelation, I was running around like a headless chicken, excited by the future that lies ahead of me. I studied everything I could find on trading. Stuff like candlestick patterns, chart patterns, trading indicators, RSI, MACD, etc. Sure, I was gaining knowledge like mad. My trading results got worst. If you’ve studied Technical Analysis, you know the information can be conflicting. The market is in an uptrend but the candlestick pattern shows a Bearish Engulfing Pattern. So which signal do you follow? There’s a bullish RSI divergence, but the MACD indicator shows overbought. So, do you buy or sell? Clearly, there’s lots of conflicting information out there. Because I was also lured by the “holy grail” syndrome — always trying to find new trading strategies. I’ve tried harmonic trading, price action trading, indicators, and what not. By trying different trading strategies, it leads me to have an inconsistent set of actions. And if my actions are inconsistent, how can I get consistent results? I was frustrated, confused, and mildly depressed. But I’m not willing to give up just yet. What are professional traders doing, that I’m not? So, I went down the rabbit hole to look for answers. My answers came when I was hired as a trader at a proprietary trading firm. Well, an edge is something that gives you a positive result over a number of trades. I make a bet with you. If every time I toss a coin and it comes up head, I win $1. And if it comes up tail, you win $2. Over the long run, who will win? Because you have an edge in the coin toss (your winners are larger than your losers). You must have an edge in the markets if you want to be a profitable trader. I went ALL IN to find my edge in the markets. I studied research papers, winning traders, books, and backtest reports. And using that information, I developed trading strategies that hopefully could give me an edge in the markets. And do you know how I feel? Because all my effort has NOT been wasted. I know I have an edge in the markets. I’ve got a skill no one can take away from. I’ve got something which could feed me and my family for the rest of our lives. I don’t have to rely on anyone or anything (no bosses, colleagues, politics, etc.). It’s all on ME now. Well, that’s what I’ll cover later. But first, let me explain why traders don’t have an edge in the markets. Before I became a trader, I actually attempted to be an investor. I bought a stock called Blackberry (its symbol back then was RIMM). The reason I bought the stock was because revenue was strong and earnings were increasing year on year — it’s the darling of Wall Street. It seemed like a no-brainer because the stock is fundamentally strong, and I should buy. And that’s what I did… I bought Blackberry at $75. Well, the stock starting sliding lower. Suddenly, all hell broke loose and Blackberry collapsed to single digits. And looking back on hindsight, Blackberry was “too slow” to catch up with the Smart Phone technology. Players like Apple and Samsung came in and gobbled up market share, fast. This led to the demise of Blackberry. But, the share price gained 700% within the next 12 months. The market can go up on bad news and go down on good news. It’s near impossible to trade based on fundamentals, and it sure as hell difficult to find an edge from this approach. Unlike Fundamental Analysis, Technical Analysis relies on past prices (like candlestick charts, trading indicators, chart patterns, etc.) to make your trading decisions. But, the same rule still applies! If you want to be a profitable trader — you must have an edge in the markets. Perhaps its candlestick patterns, Support & Resistance, and etc. It doesn’t matter. What’s important is to define your set of rules so you can test it and see if it works. If you don’t have programming knowledge, you have to do this manually. You’ve got to scroll back the charts to the earliest date and “pretend” you’re trading live. Then, you’ll identify your trading setups and record the results of each one of them. The other approach is to forward test your trading strategy. This means you take your trading strategy and trade it in the live markets. It can be on demo, it doesn’t matter. What matters is to see how your trading strategy performs in real-time. What you’ve just learned is how discretionary traders find success in the markets. However, there are a few problems with it. When you’re doing manual back testing, you “see” the future prices ahead of time (as you scroll through the charts). Now, if you know the market is about to move into an uptrend, you’ll focus only on long trading setups and ignore the short ones. This means your back test results are inaccurate as you take trades which are “favorable” for you. And it’s no wonder why your live trading results are worse than your back test results. Well, this is more accurate than back testing as you’re testing your strategy in the live markets. But if you trade on the Daily or Weekly timeframe, it’ll take you months or even years to find out whether your strategy works, or not. And if it doesn’t work, you’ve wasted many months (or even years) of your life. After one or two failed attempts, most traders would give up on forward testing and claim that trading doesn’t work — and it’s a scam. How do you find an edge in the markets — without wasting time on strategies that don’t work? That’s what you’ll discover in my next post. What’s the ONE thing that frustrates you the most in trading? Not able to be in profitable trade and waiting for stop loss hit in loosing trade, how to overcome it??? Awesome to hear that, Vickky! There’s a lot of factors that could attribute to it and it’s not possible to go into details. What’s best strategy can I apply am using candlestick charts help me out thanks teo. Thank you for sharing this knowledge. What fustratrates me the most in trading is the use of trendlines. As the name implies TREND lines. The market is said to trend 30% and consolidate 70%. I prefer three points of contact not two points because any two points can be connected on the chart. I find trendlines to be confusing. How can one properly draw trendlines and channels. …what frustrates me most in trading is that I don`t know where or what to look for when a trend is over and its reversing, i`m new to trading and love to watch,read and really learn a lot from your articles, I also do a lot of practising on demo.Thank you for sharing with us. I always appreciate the content you provide. Thank you! What I would really like to have is a very basic strategy that I can begin with and then ‘modify’ it to suit my trading style so I can finally find the ‘edge’ you speak about. Build up your mindset50%+strategy30%+skill20% and make it simple as you can. Thank you for sharing, Yip. Thank you for sharing, MM. The next few posts will discuss it. The one thing that frustrates me in trading is that, if the price of the stock drops very little, it immidiately produces big loss. But if the price goes up significantly, it only gives little gain. I think it’s so unfair!!! I understand how you feel. That has nothing to do with being fair though, it’s just Math. Market has to go up 100% just to get where you were at. Hi Rayner, is it possible to set take profit on MT4 platform trailing with a moving average automatically or you always have to exit trade manually when market trade below the moving average?. If so please send me video link if you have one. You can do it with an EA on MT4. I don’t have one. Thank you for sharing. My biggest issues are, Fear of missing out, unable to change the sentiment (I made a few dollars being Long, now I am long biased even though the market is going down and I am stubbornly trying to make it being Long!!! ), unable to take a loss and discounting my own trading plan. I am looking forward to your next one that discusses the edge. Thank you for sharing, Raj. Rayner, you are the guy that rightly talk what Forex is all about. Thanks for your open mind. I always seem to be 2 steps too late in my trading. As if the market knows I am coming and then waits to catch me out…. I am sure I am not alone. 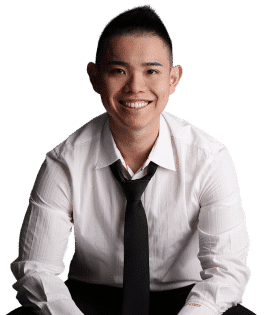 Reynard inexperience what you are sharing, I am new in this industry and I want to learn more from you, you are a blessing to many people, I’m excited for your next post. Thanks for sharing, you are correct. For me, the ONLY thing that matters is real time price action and how it is interacting with my price levels. I spent 2 years backtesting to prove to myself it can be done, that I am able to developing winning strategies and an edge and profit over time. Once that was done, I started live trading, both demo and funded. That is a whole ‘nother story. Backtesting is easy, forward testing is where my natural tendencies and habits take over. This is the hard part. I never knew how stubborn I was until I started live daytrading. The most frustrating thing about trading is breaking the rules that I made, losing a bunch of money, and afterwards seeing that if I just stuck to my rules my account would be exponentially bigger! Still, thank you for your honesty! How can I develop an edge in options trading? I can’t help since I don’t trade options. Hmmm… You got me there Rayner, trust me. As I was waiting to read the main point, you took it away by telling us to wait. Thanks, I’m patiently waiting as I need an edge. I’ve been compiling my own rules though as I’m looking forward to profiting from breakouts and strictly following trends. Thanks for your regular updates. Thanks so much for your teachings. One of my major problem is when i use 200Ma to know the long term trend, then 20 and 50ma for short term trend. Let’s say the trend is up in daily timeframe but down in the four hours and in the four hours it is showing nice lower lows and lower highs as well as respecting either 10ma, 20ma or 50ma. Do I trade the down trend in the 4hrs timeframe or should I wait till I see the start of a new higher highs and higher lows in the 4hrs timeframe. Good content for beginners. Everything is designed around larger accounts. Not much for good content for people with small to micro accounts. Rayner provides some of the best content I have found even though I have not traded forex yet. Thank you for your kind words, Myron. After one year of some success and some failure, and hopping from one strategy and time frame to the next, I have recently decided to take finding my system seriously and started learning how to program in Pine (TrandingView). In just a short time I can see how different time frames impact trades, commissions pile up, trading against the trend can hurt, etc. Automating these backtests allows you to discover so much more so quickly. Highly recommended. Glad to hear that, Ryan! Let me know how it works out for you. cheers. how to enter and exit a trade. how to set up tranding system. Most Frustating – you exit trade n your strategy works. It seems it’s waiting for you to exit. If you decide to break rule n stay few more moment; it cuts your throat n make you bleed. In short exit with small profit or exit with hefty loss – this is one of the most frustrating and seems to be in DNA of most loosing traders. I know what you mean. Thanks for sharing! looking for profitable strategies so i can day trade established stocks (not low float stocks) Any recommendations for such strategies included in books or videos and/or sellers of such strategies will be appreciated. What frostrated me the most in trading was trying to be successful with a tiny account 50-100. Made me neglet all the rules and hunt endlessly for trades. The greatest myth is that you can become a profitable trader trading a tiny account. You have said it all Rayner Teo….thanks always for valuable information about trading. Ray, thanks much for the support you really rendered am grateful, not quite long I blew my account based on wrong management but reading your post I felt the possibility doing it wright again,,,,but little confused on trading support and resistance levels, when entering a trade in these levels. Thanks for sharing. I just found you on youtube and I’m impress with the way you teach and share experiences. You come across as someone who is genuine. Start on a really small live account to make the transition. I know what you mean. Thank you for sharing! The ONE thing that frustrates you the most in trading, I find a trade, all looks good, take the trade. I walk away, trade progresses into profit all is going well, I leave it be, go to bed or go out. Come back to the trade and I am stopped out!! Hah, we’ve all been down that road! Self doubt. When a successful strategy starts to consistently fail and then I feel like all trading could be based on luck and I potentially know nothing! Thank you for kind heart Rayner are just wonderful, am Stilheart from Cameroon in Africa my big time challenge is i made profit and i end up giving it back that really frustrate me.That is cause by lack of discipline and taking more trade at the same time. I will not risk more than 1 percent of my account but in most cases when am late to take a position i still force to take it and risk more just to see price reverse and wipe me out. that is killing me. Thanks for sharing. I have recently started following you on you tube and I must say your webinars and guidance is pretty straight forward and easy to follow. The most frustrating thing for me is every day I decide that I wont follow the same mistake next day but when I am in live market I forget those decisions and make same mistakes again and again 🙁 Do make a video or post on how to control emotions…Thanks Again!! I’ll look into it, cheers. I am very big of yours. according to me, the most frustrating thing is not following trading principles strategies. in the morning I faced huge loss due to my own mistake of not following my own trading principle and this was the biggest lesson of my life and after reading your this post I got my confidence back. I want to know how to be smart in trade. Meddling with my open trades, allowing my stop loss to hit but closing winning trades before hitting my take profit. I know what you mean, thanks for sharing! because of your very valuable as well as practical and instructive lessons I’m a true ‘admirer’ of you. What so far turned not out clearly to me is the answer of the question whether based on your trading experience a successful strategy should be based exclusively on Price Action ( including Moving Averages) or a combination of PA and the traditionally popular Indicators (f.e. RSI, Stochastic, MACD). My personal experience so far is mixed. Your reply is very much appreciated as always. There are traders who focus 100% on price action, some use a combination of price action and indicators, and etc. Hi, when I read your post I wonder, will Rayner read me my mind? Well, the great memory of what you say has happened to me, what will be the solution? Thank you Rayner, I’ll wait for your next post. How can you me trade successfully? The one thing that frustrates me is one strategy does not work in all kinds of market. You need to have atleast 2 strategies which will work depending on the market conditions. It’s frustrating if one strategy doesn’t work and really demotivates me. No one strategy works all the time, that’s why drawdown occurs. But having multiple uncorrelated strategies does smooth out the equity curve over time. What frustrate me most is not finding the setups that I am looking for e.g a clear uptrend or down trend.another thing frustrates me is waiting for setups to be formed sometimes it takes hours. Thank you for sharing, Dinna.